Suicide is something that we all wish/hope/pray we never have to deal with, yet it is something that many people deal with quite often. When #NotOnMyWatch™ was founded, the suicide rate was one person every seventeen minutes. As you will see in the image below, that number has greatly increased. It is truly heartbreaking to know that this many people have ended their lives, and it is also heartbreaking to think about the families and friends who have been left behind to deal with the aftermath. There are so many people who live in guilt wishing they had reached out to individuals in their family or friends circle before it was too late. 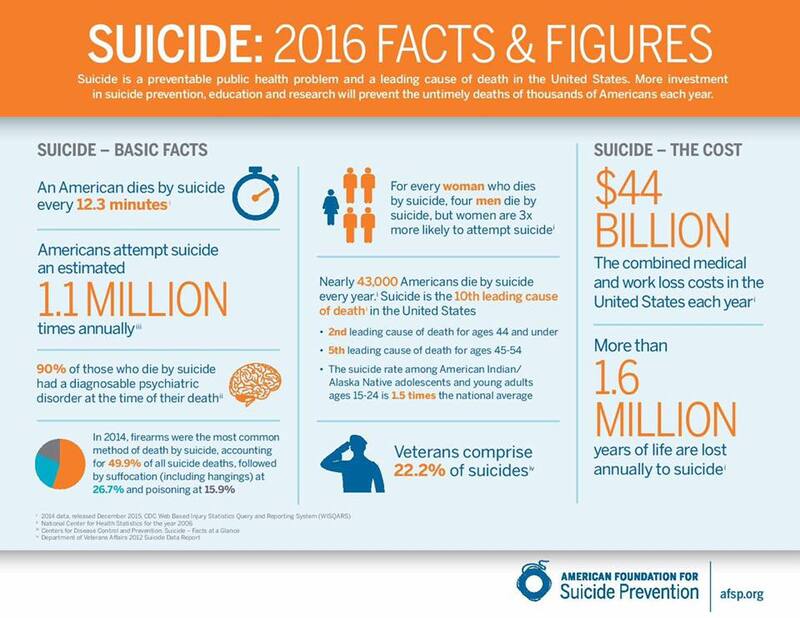 According to the American Association for Suicide Prevention, suicide is the third leading cause of death in our country. The first two are cancer and heart disease. This is why organizations like #NotOnMyWatch™ work tirelessly to make a difference and to bring these numbers down. It is safe to say that we are living in troubled times. The economy is fluctuating, people are without jobs, racial tensions have heightened, companies have shifted directions in a lot of ways, and life is hard for a lot of people. However, even in the midst of these troubled times, we are living under the umbrella of such an AMAZING opportunity. Through social media and personal interactions, we have the opportunity to reach out to SO MANY people. Even if we don’t have experience and/or expertise in a certain area, we have the ability to connect people with those who do. We have the opportunity to “talk someone off the ledge” and encourage them to reconsider, or to connect them with someone who can “talk them off the ledge” and inspire them to reconsider. We are without excuse. 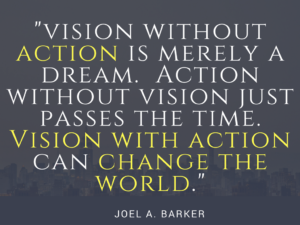 While it is unrealistic to think that one organization can save the entire world from suicidal ideation (although nothing is impossible), we are committed to doing our very best to decrease the instances of suicide in our country and across the world. We have so much to live for. We will not sit idly by while people are hurting and thinking that suicide is their only option, because we have been equipped with experience, knowledge and resources to assist people who wrestle with suicidal ideation. We understand that everyone is not equipped for this type of work. Because of this, we make ourselves available so that no one will feel like they have to take on a task that is out of their scope. Each of us have different areas of purpose, experience and expertise, and everything should work together. If we work together, we can all make this world a better place than it was when we arrived. You may not be a suicide prevention specialist, but you are still able to do SOMETHING, even if that “something” consists of referring the individual to #NotOnMyWatch™ or to the National Suicide Prevention Lifeline. Let’s work together and make things better! Copyright ©2014-2017, #NotOnMyWatch™ All rights reserved.